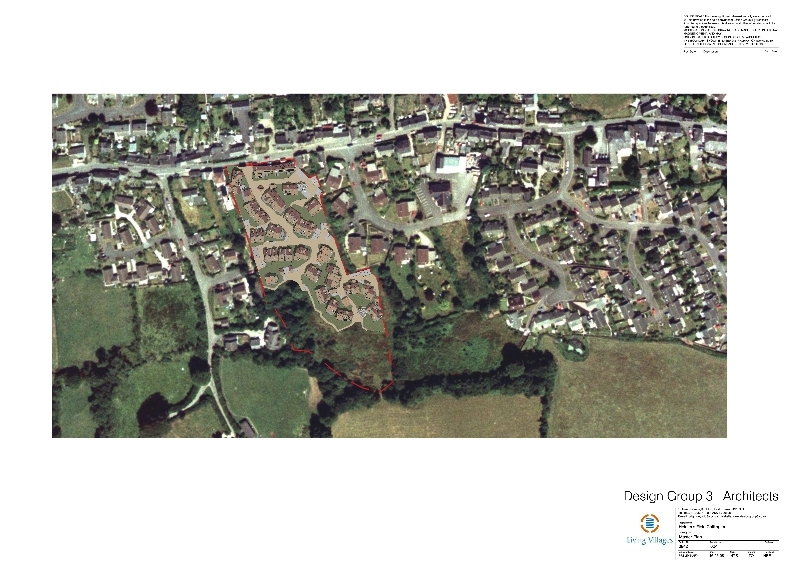 The site in Chillington was right in the heart of a lively village not far from the sea in Devon. 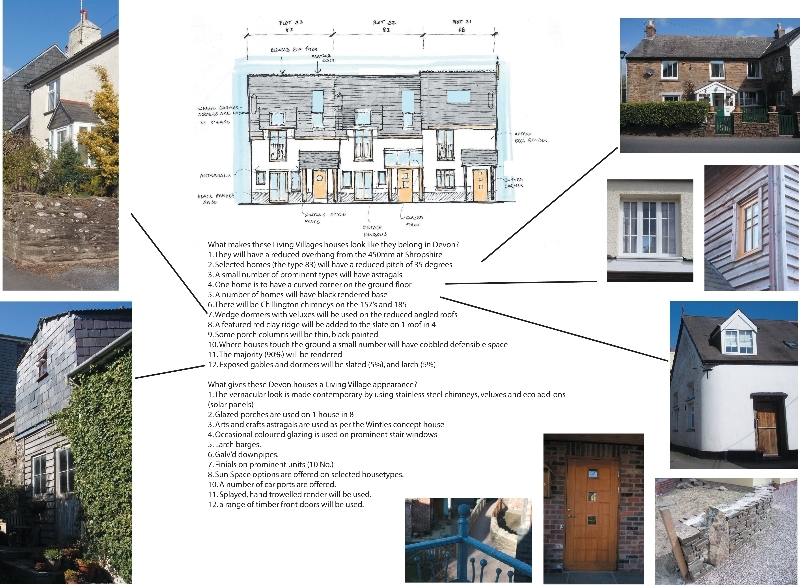 Our challenge was to design something that could help keep the village alive by stimulating social interaction, and at the same time keep the bank and the planners happy. We studied small, higgledy piggledy villages in Devon and were inspired to produce a pedestrian-friendly lane which led through to the village hall via some wetlands at the bottom of the site. A large derelict barn on the main street was to be converted by Living Villages into four airy homes, giving an indication of what lay ahead. Behind the barn we planned a twisting route around a brightly coloured ‘merchants house’ sat prominently in the middle of the new village. The great variation of house sizes added to the feel of being a part of a colourful community which had grown up over time. 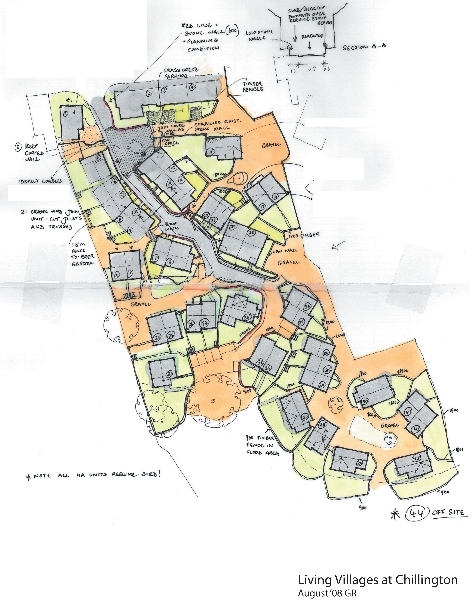 The main challenge with this village was to deliver that classic winding little street whilst getting the best from our energy-efficient houses; at the same time complying with present day access requirements and building regulations. We sited the houses to give them plenty of air and daylight, and maximise their efficiency without ever losing sight of the feel of the local settlements from which we had drawn our inspiration. 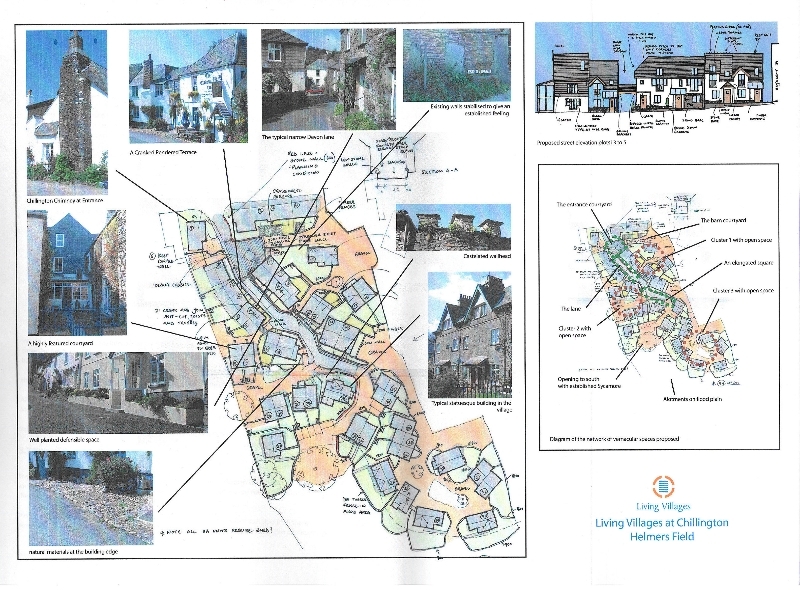 Sadly the site ended up being sold to a major house-builder so we didn’t get to see the dream come true, but there are other sites in Devon and the South West so let us know if you liked the concept of an energy-efficient Devon village. If you want to use our design service please go to mindful placemaking.